The military is a well-respected profession. The United States Military Academy, The United States Naval Academy, and Virginia Military Institute were just rated number 1, 2, and 3 respectively by U.S. News and World Report for 2010 as the best public liberal arts colleges in the country. Service academy appointments in general are highly sought after and extremely competitive. Military service and veteran status are badges of honor in our society. Civilian employers, as well as prestigious universities, actively seek to recruit veterans into their organizations because of the unique skills, character, and experiences that veterans possess. Veterans are valued because the personal development that occurs as a result of military service cannot be duplicated anywhere else in our society. So why do these same prestigious universities (i.e. : Harvard, Yale, Brown, Stanford, and Columbia) ban ROTC (Reserve Officer Training Corps) on their campuses? Why do they prevent exceptional individuals who are interested in military service from attending their schools via an ROTC scholarship and receiving academic credit for doing so? In other words, after you’ve served in the military we want you at our school; but before you’ve served, we want to help prevent you from ever becoming involved in the military. Is this hypocrisy? Elitism? Bureaucratic confusion? Maybe it’s just plain illogical and those of us who notice need to more adamantly address this glaring contradiction. For years, ROTC scholarships have offered promising high school students with a desire to serve in the military the opportunity to attend top schools with ROTC programs like Cornell, Princeton, Lehigh, Bucknell, and many others. 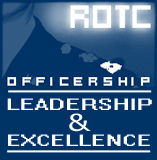 ROTC bans deny talented individuals the opportunity to attend certain exceptional schools. What are these schools afraid of? Some arguments seem to be about discrimination; the fact that the civilian federal law currently bans openly gay individuals from serving (I personally think DADT should go away). I think it is unfair to ban an organization like ROTC that offers so many opportunities to students simply because an elitist administration disapproves of certain federal laws that determine military regulations. Unfortunately, we do not live in a perfect world and no organization is perfect. In order to survive in a democracy, compromises are made to establish organizations and to move forward with “good enough” policies. Without these compromises, the alternative is the status quo: no new policies, no new organizations. Can anyone name a perfect piece of legislation? How about a piece of faulty legislation that was later changed? In the same way, all organizations have their faults and continue to grow and develop over time. As a large and visible public organization, the military is constantly working on itself to stay current by improving policies, developing new technology and adapting methods to manage, train, and retain personnel. 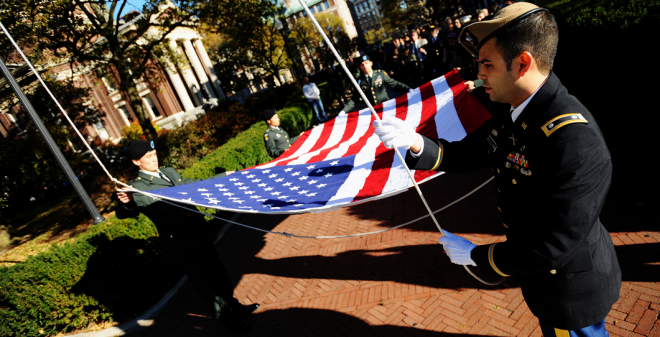 I recognize that there are students here who have differences in terms of military policy, but the notion that young people here at Columbia aren’t offered a choice or an option in participating in military service is a mistake. ROTC represents a group of pseudo-faculty preparing students for war and training them to kill, and that is fundamentally unacceptable at a university. I wonder if Mr. Bernstein would refer to Academy Professors as “pseudo-faculty?” Perhaps he should take a look at what the Army actually trains its Soldiers; the Army values of Loyalty, Duty, Respect, Selfless Service, Honor, Integrity, and Personal Courage. Killing people is not the military’s goal, defense and service to the nation are. The ROTC program is an avenue through which future leaders can attain an outstanding civilian education that will aid them in their military duties as they serve their country after graduation. I would think prestigious universities would want the opportunity to participate in educating these leaders before they enter military service.